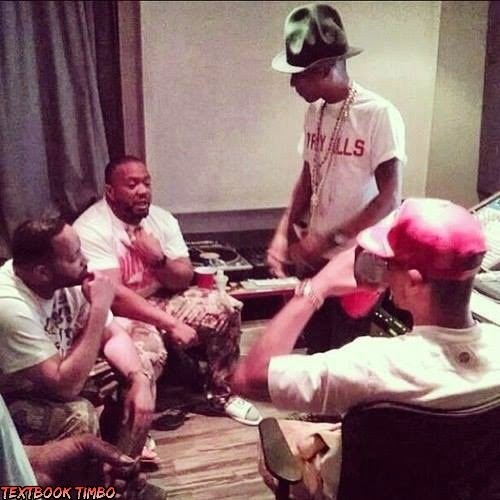 Recently Pharrell X Timbaland X PushaT were in the studio working on Pusha T New Album "King Push"
thx my brotha. i appreciate u comin by 2 check it out. cant wait 2 the world hear it. rt @Pharrell: And @Timbaland album is wonderous. that's right "Wonderous"which i dunno what does it mean but it is something like "DOPE" !